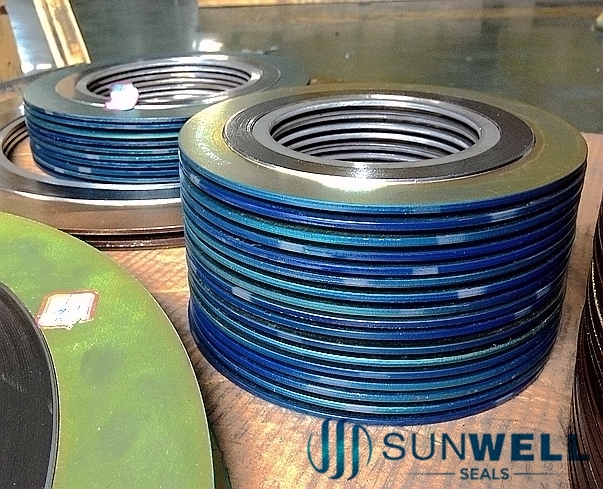 This style spiral wound gasket is for heat exchangers where pass bars are required. The outer portion is of standard spiral wound construction. The rib portion is normally of single or double jacketed style. The ribs securely fastened to the ID of the spiral wound portion. 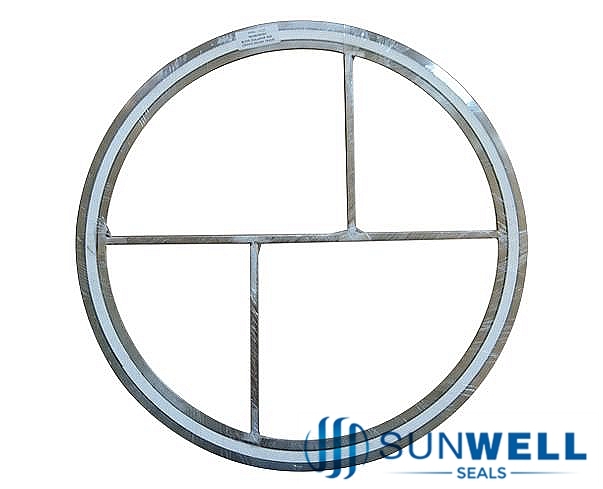 SUNWELL SW620 Spiral wound gasket for heat exchangers are designed for heat exchangers, it can be with or without inner and outer rings.This style spiral wound gasket is for heat exchangers where pass bars are required. The outer portion is of standard spiral wound construction. The rib portion is normally of single or double jacketed style. 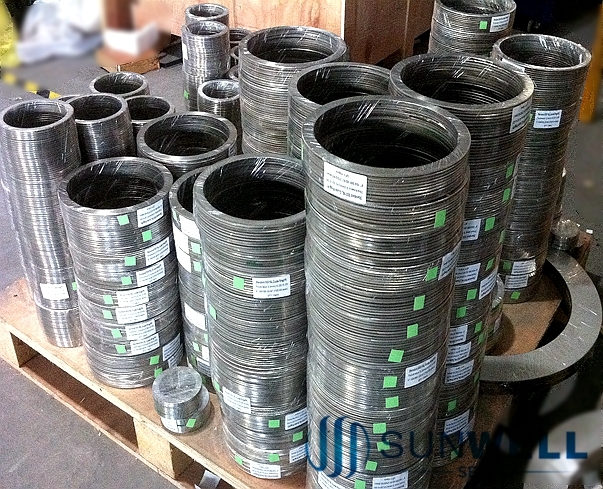 The gaskets which with outer rings are primarily designed for TEMA male and female flanges. Gaskets are custom built to suit the design conditions of individual heat exchanger vessels. > The outer wound nose to ensure correct sealing element location in the flange recess. >A spiral wound sealing element to ensure a positive seal under fluctuating temperature and pressure conditions. 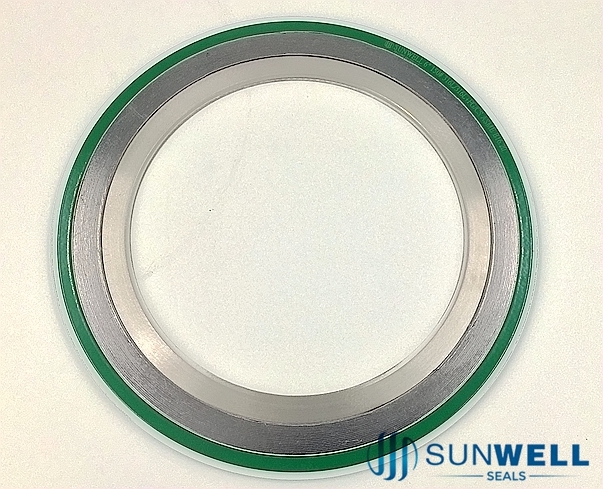 > A solid metal inner ring to protect the sealing element and act as a compression stop. > Can be supplied with pass partition bars in any configuration. Pass bars are secured to the inner ring can be supplied in either solid metal or double jacketed construction. > Spiral wound with inner or outer or with partition ribs acts a pass bars. Manufactured to customer design. More informations, please click the "PDF" download or contact with us. Get the latest tips and trends in the gaskets industry. Get the latest tips and trends in the cosmetic industry.